By Ben Meakins. Photos: GHWS Ross Elliston, HBBC Trevor Pountain. ‘Windy, wet and lumpy’ was how one competitor described Sunday’s racing in the third weekend of the Garmin Hamble Winter Series. It was a breezy day indeed that saw a base wind of 23 knots and gusts of up to 30 that greeted the fleet as they made their way to the start on Sunday morning. 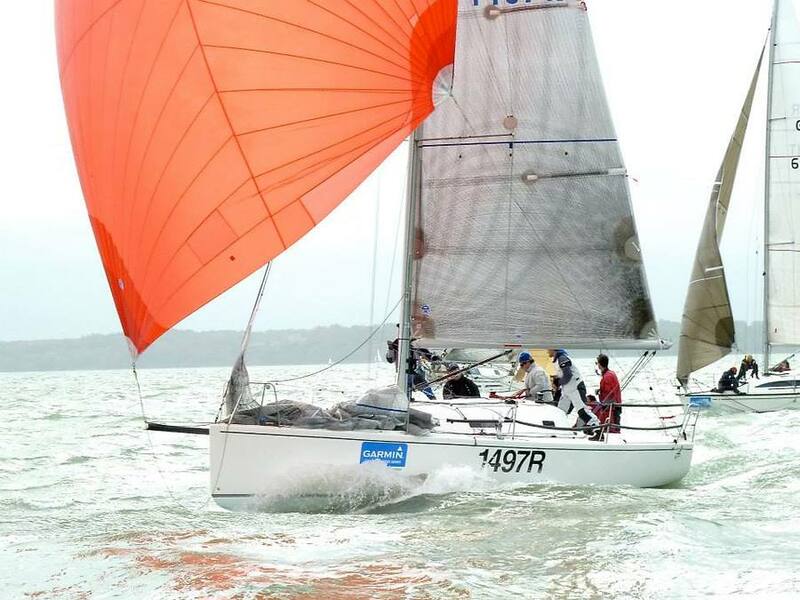 A gusty breeze, combined with a steep Solent chop and intermittent heavy rainsqualls kept competitors on their toes – and, occasionally, their boats on their sides in tricky conditions. Ian Brown from One Sails, the day sponsor, was on hand back in the HRSC clubhouse to present day prizes to the exhausted crews as they enjoyed beer for £2.50 a pint and hot food. In many classes the challenging conditions shook up the overall results. Among those who came out well were James Gair’s Localletterbox Zero II and Mark Lloyd’s Chaos in IRC0, who won a race apiece, scoring a first and second each. In IRC 1, Philip Farrands’ Old Mother Gun and Paul Jones’ Passion won a race each ahead of Allie Smith’s Puma Logic, which scored two seconds. Mike Bridges’ Elaine tops the IRC 2 class after scoring a 1st and a 2nd, ahead of Paul Heys’ Jungle Drum and Robbie and Lis Robinson’s Hot Rats. In IRC 3, Chudziak, Horner and Malas in Wee Bear scored a 3rd and a 1st, to close the gap on overall leaders, Nick Munday’s IndulJence, who scored a 1st and a 3rd. IRC 4 stalwart Bernard Fyans on Erik the Red put on a fine show, taking two firsts and closing the gap to Toby Gorman’s Stan the Boat to 1 point overall. Oliver Love’s Impala Two Frank took two thirds. In the J/109 class, David McGough’s Just So took two firsts ahead of Owain Franks’ Jynnan Tonnyx. 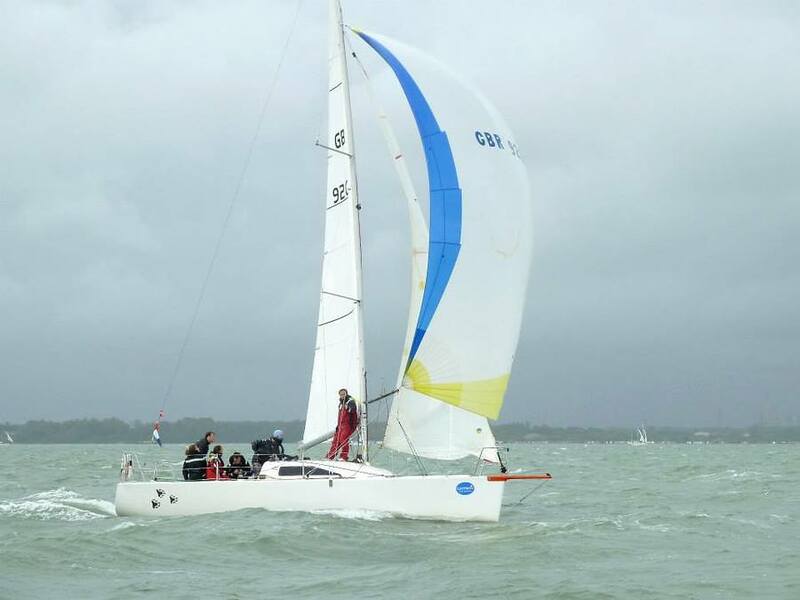 J-Dream won both races in the J/111 class, while Chris and Vanessa Choules on With Alacrity and Nigel Goodhew on Persephone won a race apiece in the Sigma 38 class. 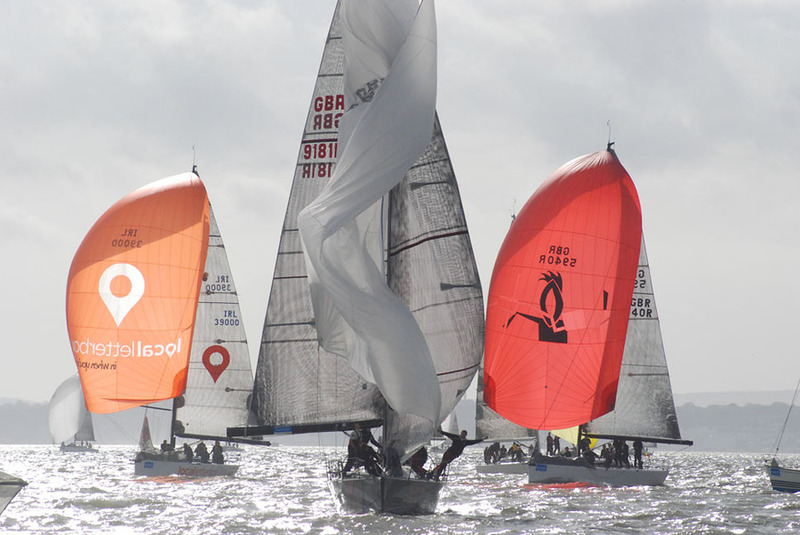 Next weekend hosts the final weekend of the Doyle Sails Hamble One Design Championships, as well as the fourth Garmin Hamble Winter Series race day. 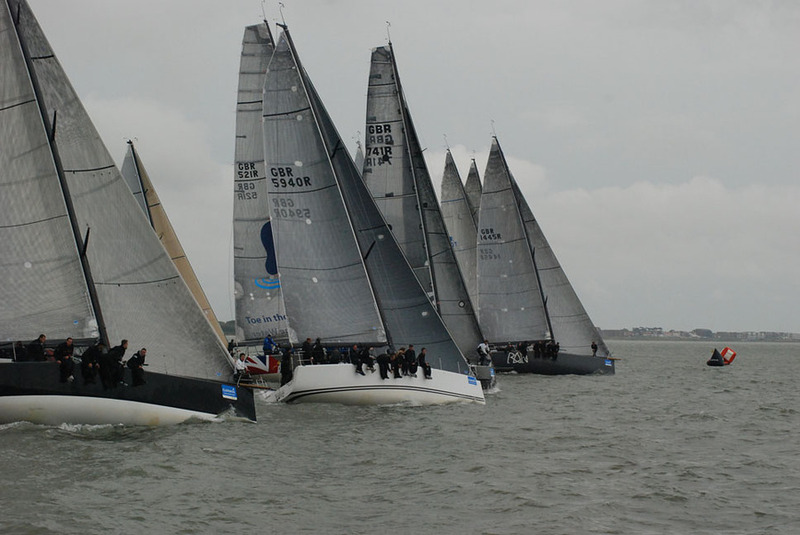 Saturday and Sunday also hosted the second of two MDL Hamble Big Boat Championship weekends. By comparison to Sunday, Saturday was pleasant – but still saw a gusty breeze that challenged the top-class racing yachts in this prestigious event. There were some close finishes and tight battles in all classes, and the racing was intense. ‘Great racing - not much time for sandwiches’, commented Phil Riley on Tokoloshe, while James Gair on Localletterbox Zero II said, "can we breathe out yet?" In the Farr 45 class, Simon Henning’s Alice II won the weekend’s first race, but it was Niklas Zennstrom’s Ran who found their form to post four consecutive firsts and win the event by 6 points. Alice II was 2nd and Jeffrey Blue’s Espresso Martini 3rd. In IRC 0, David Bartholemew’s Tokoloshe finished at the top of the leaderboard after posting three 1sts. Andrew Pearce’s Magnum 3 was close behind, scoring two 1st places. Nick Rawbone’s Playing Around won IRC 1 by a single point ahead of Andy Uren’s Winston, while David and Kirsty Apthorp’s J-Dream topped the J/111 class by three points, ahead of Richard Barnes’ Biela-Munkenbeck in 2nd and the Army’s British Soldier in third. Congratulations to all winners and competitors for some masterful displays of big-breeze sailing in what proved to be some challenging sailing conditions. Thanks to all the volunteers who braved the unpleasant conditions to man the committee boats and marklaying RIBs and to run the galley back in the club– the event couldn’t go ahead without them!